This case is the last front in the long-running battle over the Bush-era torture regime. Around 9 pm on December 4, 2017, two FBI documents were delivered to the defense teams representing the five Guantánamo detainees on trial in the military commissions for their alleged roles in the September 11, 2001, terrorist attacks. These documents, which the lawyers had been requesting since 2013, would be the focus of proceedings starting at 9 the following morning. The 11th-hour timing of the document drop is not unusual in this legal system, where the prosecution controls when and what governmental information (as well as access to witnesses and resources) will be provided to the defense. In the 9/11 case, the pretrial discovery process is exceptionally contentious by any measure. The defendants were held for years and tortured in CIA black sites prior to their transfer to Guantánamo in September 2006. Most information about the agency’s Rendition, Detention, and Interrogation (RDI) program—although it was terminated years ago—remains a national-security secret. The defense lawyers, all of whom have top security clearance, have spent years filing motions and arguing to gain information about what happened to their clients in CIA custody, and insist that this information must be discoverable, not least because in capital cases where the death penalty is on the table, heightened due process applies. The prosecution disagrees, insisting that this trial is about the defendants’ roles in the crime of 9/11, and that what happened to them afterward has little bearing on their involvement in these events. In lieu of original classified materials about the CIA’s program, prosecutors produce—and the judge reviews and approves—summaries of select materials they deem relevant; those summaries obscure specific dates and locations and mask the identities of people with “unique functional identifiers” and pseudonyms (e.g., Interrogator 1, Dr. Shrek). The two FBI documents delivered that December night provide a glimpse of how the government has strategized in building its case against the 9/11 five. The documents pertain to the so-called “clean team” process, in which FBI agents were tasked to elicit statements untainted by torture after the men were transferred to Guantánamo. The defense teams finally got these documents because Walter Ruiz, the lead lawyer of the team representing Mustafa al-Hawsawi, had pressed the judge, Army Col. James Pohl, to calendar a hearing on whether the military commission is an appropriate venue to try his client. This personal jurisdiction challenge forced the prosecution to provide the defense with information about the FBI’s role and its relationship to the CIA torture program, because statements made to the FBI are an important element of the government’s case. That week in December was the 26th round of pretrial hearings in the 9/11 case since the five defendants were arraigned in May 2012. The case actually began years earlier, when the same men were arraigned in June 2008. The Pentagon had pushed to start their trial while George W. Bush was still in office, because his administration had created the Guantánamo detention facility and the military commissions as well as the CIA’s RDI program. During the 2008 arraignment, the most “valuable” detainee at Guantánamo, Khalid Sheikh Mohammed (aka KSM), who is accused of being the key planner of the 9/11 plot, rejected his military lawyer. He told the judge that he welcomed a death sentence: “That is what I wish—to be martyred.” Several of the other “brothers,” as they refer to each other, followed suit. Apparently, this suicide-by-military-commission strategy had not been anticipated by the government, and it foiled the plan to make the 9/11 trial a showcase for expeditious American justice. During Bush’s lame-duck period following the 2008 election that Barack Obama had won, the case was stayed. The 9/11 hearings in December 2017 were described as Mustafa al-Hawsawi’s week. His placement in the high-security courtroom symbolizes his place in this group trial; his table is the fifth, behind his four co-defendants. 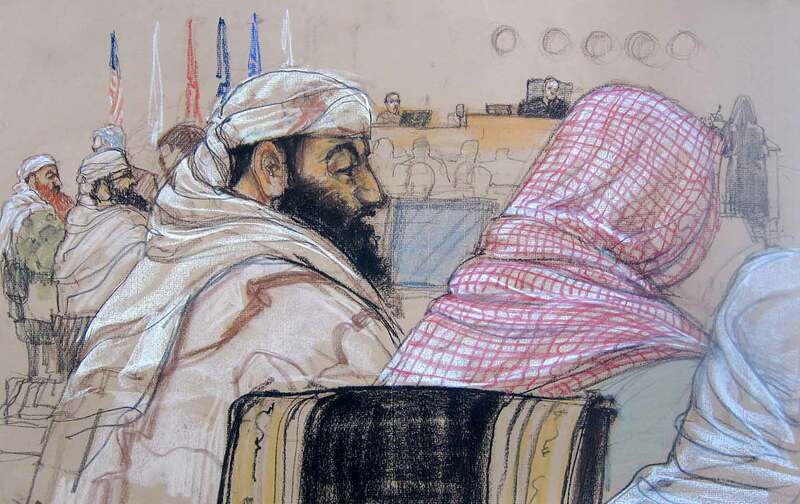 Al-Hawsawi and the defendant whose table is directly in front of his, Ammar al-Baluchi (aka Ali Abdul Aziz Ali), are accused of being money men for the 9/11 conspiracy. Often, al-Hawsawi forgoes attending hearings because he is in constant pain from the sodomization he endured in black sites, which caused a disfiguring medical condition called rectal prolapse. In October 2016, he underwent rectal surgery, but he still suffers in ways that, as learned counsel Ruiz has explained, force him to constantly choose between eating and defecating painfully, or fasting. [We] want Mr. al Hawsawi to be judged based on the evidence against him—to have individualized justice. That’s very difficult when you have a group setting. We’re very concerned ultimately about a fact finder being able to separate one piece of evidence against one person from one piece of evidence against another person, and not having that spill-over prejudice—the birds-of-a-feather and flock mentality, which is obviously what the prosecution wants to exploit and why they’re fighting hard to keep it as a joint trial. The other teams, to varying degrees, have prioritized the quest for more information about their clients’ years as ghost detainees in CIA custody. But everyone on the defense side agreed that the release of the FBI documents and the proceedings that week were a game changer. As James Harrington, learned counsel for Ramzi bin al-Shibh, said, it was the “first time there were warm bodies in the witness seat.” The warm bodies were FBI Special Agents Abigail Perkins (now retired) and James Fitzgerald, who interrogated al-Hawsawi in January 2007. In light of the widely publicized abuses at the Abu Ghraib prison, Iraq, this [memo] reiterates and memorializes existing FBI policy with regard to the interrogation of prisoners, detainees, or persons under United States control (collectively “detainees”). These guidelines serve as a reminder of existing FBI policy that has consistently provided that FBI personnel may not obtain statements during interrogations by the use of force, threats, physical abuse, threats of such abuse or severe physical conditions. 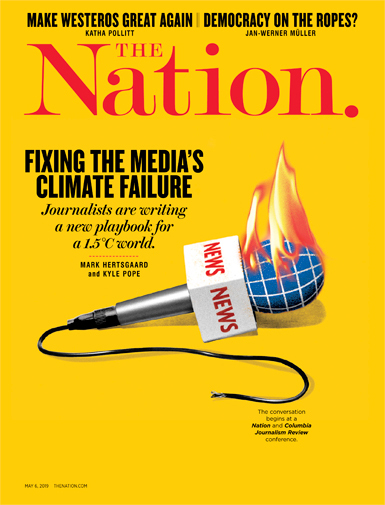 That memo, produced three weeks after the Abu Ghraib photos became public, was a prescient bet that the Bush administration’s authorization of violent and coercive interrogation tactics was about to explode, and the FBI wanted to be on record—at least to itself, since the memo was not public—that its hands were “clean.” The implication was that the hands of other government agencies had been soiled by the torture and abuse of detainees. Indeed, the pressure created by the Abu Ghraib scandal forced the Bush administration to begin releasing some information about the highly classified interrogation and detention operations in the “war on terror”; the first documents to become public in June 2004 exposed the torture-permissive rationales produced by Justice Department lawyers to provide the CIA with legal cover for techniques they were using on “High Value Detainees” (HVDs) at black sites in foreign countries. These “torture memos,” as they were instantly and aptly described, intensified the scandal triggered by the photos. Later that June, the Supreme Court issued a landmark ruling in Rasul v. Bush that people at Guantánamo could not be indefinitely deprived of the habeas corpus right to challenge their detention. This was the first judicial rebuke of the Bush administration’s claim that these prisoners had no rights. Prior to Rasul, Guantánamo had been an ideal venue for long-term military detention because prisoners were held incommunicado. The CIA had offloaded a few HVDs who, they determined, were no longer sources of “actionable intelligence.” However, in the spring of 2004, the CIA repossessed those HVDs and moved them to black sites in other locales. The official rhetoric about the clean-team process goes as follows: Whatever happened to these men before they were transferred to Guantánamo is over but nevertheless remains classified. Whatever statements they made during their time in CIA custody will not be used by military-commission prosecutors. Whatever statements they made to FBI clean-team agents is court-worthy by virtue of the conduct of interrogations using conventional and lawful means. The implications of this rhetoric depend on two presumptions: that the FBI was institutionally separate from the CIA and had not dirtied its hands by colluding in torture, and that time itself could be separated between torture time and post-torture time. Thus, the FBI was tasked not just with producing clean evidence but also with assisting in the whitewashing of the present as post-torture time. The December 2017 hearings involving testimony from the two FBI agents began with the prosecution, which presented a compelling array of evidence about financial dealings between al-Hawsawi and some of the 9/11 hijackers. When it was Ruiz’s turn to cross-examine Agent Perkins, she testified that during her January 2007 meetings with al-Hawsawi, he spoke freely and acknowledged his role in the 9/11 plot. She said he never mentioned any abuse by the CIA and she never asked. Perkins’s affect on the stand was a blend of matter-of-fact professionalism and uninquisitiveness. She didn’t know then and doesn’t know now much about al-Hawsawi’s abusive treatment in black sites. When Ruiz asked what she knew about his capture in Rawalpindi, Pakistan, in March 2003, Judge Pohl warned her not to reveal classified information in open court. This was a pointed reminder that all details about al-Hawsawi from the moment he was taken into US custody until the time he was transferred to Guantánamo in 2006 are state secrets. When Ruiz questioned Perkins about how she interrogated al-Hawsawi, she explained that she did so without an interpreter, a point that Ruiz bore down on because his client is not fluent in English. When Ruiz asked whether the interrogation was taped, she said no because the CIA ground rules prohibited it. The bombshell in Perkins’s testimony was that she reviewed CIA black-site cables to prepare questions and strategies for her interrogation. While this black-site leakage into the process to obtain court-worthy evidence was not surprising to Ruiz or the other defense teams, putting it on record in open court undermined the pretense of separation between CIA torture and the FBI clean teams. Torture lies at the center of the impossible tangle of conflicting interests in the 9/11 case. The CIA’s interest is the protection of its secret “sources and methods,” not prosecution, let alone due process. As the original classification authority (OCA) of black-site-related information, the CIA has the power to determine what kinds of information the defense teams “need to know,” and it exercises this power by deciding what is or is not discoverable. The prosecutors are tasked with guarding the CIA’s secrets and enforcing the need-to-know determinations, which they do zealously. Because the defense teams have access to some classified information about the CIA’s torture program, they are regarded with suspicion as weak links in the chain of secrecy, and this has led to multiple instances of governmental monitoring and spying. Several years ago, the case against Ramzi bin al-Shibh was nearly derailed when the defense teams learned that the FBI had tried to turn some non-lawyer members into informants and had succeeded in recruiting several people on learned counsel Harrington’s team. Although the prosecutors had no role in these spy operations, as the government’s representatives they have had to argue, repeatedly, that the case is not too damaged to proceed. The defense teams contend that these restrictions impede their ability and infringe upon their legally mandated duty to defend their clients and, therefore, put them into an ethical quandary. Moreover, the teams are acutely aware that if the government suspects that they in any way reveal or mishandle classified information, they may be subject to prosecution under the Intelligence Identities Protection Act or the Espionage Act. Over the years, the prosecution has given the defense teams about 17,000 pages of summaries and substitutions of the millions of pages of original CIA materials; the Senate Select Committee on Intelligence (SSCI) had access to the original materials to produce its report on the RDI program, but only a redacted executive summary of this report is available to the public—or to the defense teams. Recently, the prosecution also gave the defense an RDI timeline, which is supposed to reflect and contextualize the summaries and substitutions. First, that the defense has some hysterical obsession with our client’s state-sponsored torture, as if it didn’t have a direct bearing on their death penalty trial; and second, they wring their hands that they have done all they can to give us all of the relevant documents in their possession, but with the caveat that they have, of course, masked some of the most sensitive information because they are the guardians of national security information and we are not to be trusted.… The government is here carrying that water for the CIA in denying that information not to the public, but to top secret security clearance holding defense counsel. To illustrate the deficiencies in materials provided to the defense, Pradhan contrasted the publicly available chronology of Gul Rahman’s month-long detention at a black site in Afghanistan (code named “COBALT”) before he died (of exposure) in 2002, which is three pages long, with the classified chronology of her client, al-Baluchi’s, three-and-a-half-year detention at multiple black sites, which is one-quarter of a page. [I]f this were any other court and I had a detective on the stand…or a special agent from the FBI, and I needed to go into what happened to my client during a 36-hour interrogation, and I had [information that was] riddled with mistakes, my argument to the jury would later be that they can’t believe anything that FBI agent says because that FBI agent is so careless in his duties that everything that he says should be subject to being found unreliable by the trier of fact. And so here we have the same thing. One outcome of this hearing was a concession by the government that the defense has a legitimate need to know more about the relationship between the FBI and the CIA between 2002 and 2007. A memo dated April 27, 2018, states: “The prosecution is aware of your claim that the five accused were not acting voluntarily in making statements to the FBI agents in 2007…. in addition we are aware of your claim…that the statements…are ‘derived from torture.’” The memo contains a pledge to disclose relevant information, although to date no new material has been provided. During the most recent hearings, on May 1, 2018, Gary Sowards, one of Mohammed’s attorneys, asked Judge Pohl to issue an emergency order to keep the MRI (magnetic resonance imaging) machine at Guantánamo. The machine had been shipped in the previous October and brain scans had been performed on the defendants. Now, the defense teams were concerned that it would be shipped off before they made further use of it. Sowards explained that the Navy MRI technician had performed only 25 percent of the requested tests on his client. Yet even these limited results seem to indicate that Mohammed has suffered brain damage. In the weeks prior to the most recent hearings, bin al-Shibh was subjected to intensified discipline that echoed his previous treatment in CIA custody. He was put into an isolation cell with a half-inch rubber pad for a mattress, a Quran, and nothing else. He could not bring his legal materials even though he had hearings approaching, and he had to process his mail and responses within an hour. Bin al-Shibh claims that members of the Camp 7 guard force and medical staff taunted him and threatened to move him to a padded cell or even to send him back to the black sites. In protest because of the guards’ failure to follow standard operating procedures and to comply with the judge’s order to stop the harassing noises and vibrations, he went on hunger strike. He was then told he could be force-fed if his health declines. According to Harrington, this experience severely retraumatized bin al-Shibh and badly undermined his relationship with his attorneys. Harrington said, “This week was one of the deepest valleys I’ve ever been in with my client.” The damage, he added, may never be repaired because bin al-Shibh is so vulnerable and frustrated and his team seems unable to help him. Lisa HajjarLisa Hajjar is a professor of sociology at the University of California, Santa Barbara. She is working on a book about resistance to US torture, The War in Court.